I recently moved to Los Angeles, so last night I hit Machine Project to go see Oron Catts & IonatZurr of SymbioticA speak about tissue culture art. Definitely cool stuff! You can also check out Joe McKay's website. PicnicMob is a concept to create "flash mob" picnics in parks of major U.S. cities, but it assigns each participant to a location in the park so that they are near other participants with similar interests (calculated using simulated annealing). 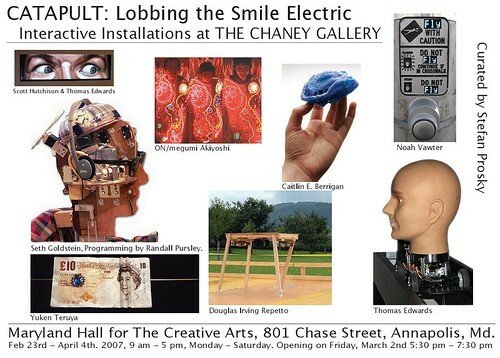 Mechatronic and robotic artist Thomas Edwards will present his work "Touch" which allows two individuals to physically touch each other over the Internet. During the meeting, Edwards will demonstrate touching fingers between Washington, DC, and Toronto, Canada. On the other side will be Liav Koren at the University of Toronto's Faculty of Architecture, Landscape and Design. "Touch" is part of the Phy2Phy project to link physical artworks over IP. Philip Kohn will lead a tour through "The Looking Glass" , an evolving interactive video piece that encourages participants to move about in silly ways by rewarding them with cool effects when they do. He'll reveal plans for a new (hopefully!) commissioned collaboration with ceramicist Novie Trump called "Through the Hedge" which will create an artificial real-time jungle including magical creatures that do things to you when you touch them. It will attempt to blend and bring life a large ceramic mural with an embedded huge LCD flat screen. If he gets it together, he may also debut a new piece called "Feeling Lucky" which crawls along the web as a stream of consciousness in pictures using Google image and Google search. For desert, he will offer "Pastry", a recent piece that shows organic layers of texture that come out of the screen, without the need for 3D glasses. I'm investigating having "Touch" bridge between the physical world and Second Life. 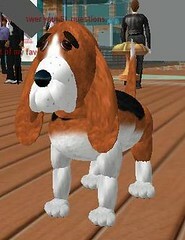 There are a couple of mechanisms for objects in SL to talk to the outside world. Andy Fundinger has a summary of the three mechanisms here. The one that makes the most sense for "Touch" is probably having the object do HTTP requests to the outside world using llHTTPRequest. I was thinking that when I "touch" between DC and Toronto, it won't just be 356 miles between the two cities, but actually the "touch" signals will go between DC and Sunnyvale, CA (where the server is, 2429 miles away) and then to Toronto (2262 miles away), for a total of 4691 miles. "Touch" was on the MAKE:Japan blog today, link here. Perhaps Thomas Edwards of the friend who serves [aruhuagiku] with Dorkbot DC that (the other technical field artist includes) started wiki of new project. The name is, Phy2Phy, in addition name " the physical interaction on IP (physical interaction) “. The video of YouTube which is introduced here has become up-to-date report of that " touch " project. The pressure perception register was used, it is the system that 2 humans it is touched mutually via the net. Here cool hard is used the large quantity. The Comfile CUBLOC CB220 microprocessor and the Pololu micro serial servo controller, it is Lantronix Xport and the pressure sensor etc. As for all details and link, there is the page of Touch Project of Phy2Phy. Thomas is the expectation which announces halfway lapse with Dorkbot DC September 10th. This thesis provides a critical analysis of the relation between Internet art and the traditional institution for contemporary art in the North American and West-European regions. Thirteen years after its inception as an art form, the Internet art world finds itself in a developmental stage and its relation to the traditional institution for contemporary art is accordingly. Through an elaborate discussion of the key players, institutions and discourses on aesthetics, economics and exhibition methodologies, this sociological analysis of the past and current situation hopes to offer a solid ground for extrapolation and predictions for Internet art’s future as an art world in its relation to the traditional art institutions. Washington, D.C.: I read in the Post about the great success of Tom Greaves's street installation "The Compliment Machine," which dishes out compliments to people as they walk by. Then I read online about an Artomatic artist who had a similar machine called "Sycophant" a few years earlier but had very little notice. 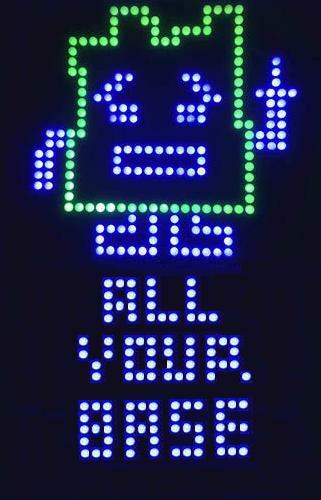 Mr. O'Sullivan: Do you recall the Artomatic machine? Are they similar? Michael O'Sullivan: I do remember "Sycophant" quite well. It was similar to the "Compliment Machine" in that they both dole out compliments, but "Sycophant," by Thomas Edwards, an artist who organizes DC's Dorbot meetings of tech/art people, was not just an impersonal box, but a robotic human head. It was rather hilarious, as I recall, saying things like, "You look really hot" and "I love your sweater." Was Sycophant: the one next to the talking fish? Michael O'Sullivan: Yes! That was the one. The fish--an altered version of one of the Big Mouth Billy Bass novelties--shouted out things like: "They're eating my eggs!" 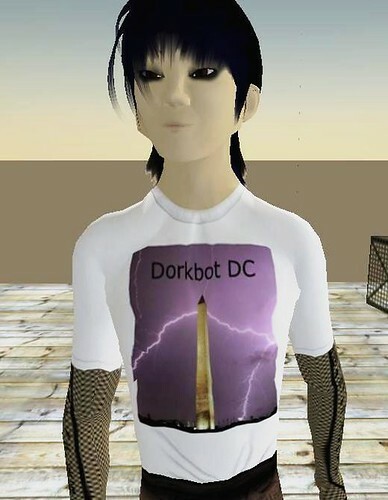 By the way, you can find more about the monthly DC Dorbot meetings (where art and tech collide) at http://www.dorkbot.org/dorkbotdc/. 4) Uses some kind of standard flash memory (like SD), preferably with MP3 files. So finally this showed up as the Vinculum VMUSIC2. 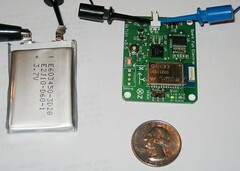 This module takes a standard USB Flash drive for storage, can playback MP3 files, is controlled with a rich set of commands over a serial connection, and costs $41 from Mouser. 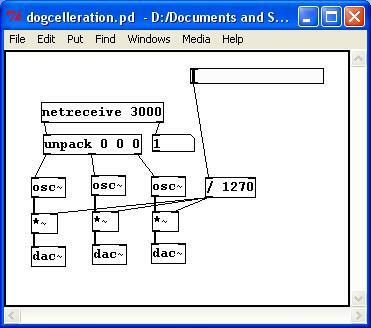 The only challenge is that the Vinculum documentation is a little unclear whether the VMUSIC2 is DTE or DCE, and it also needs RTS and CTS to work the serial connections. With some helpful hints from SurplusGizmos, I was able to get the VMUSIC2 to work with the Arduino. This provides a way to write commands to the VMUSIC2 from the Arduino. If you want to hook up the VMUSIC2 TX and get sneakier with CTS# you can have bi-directional communication, but at first I just wanted to see if I could play any files. 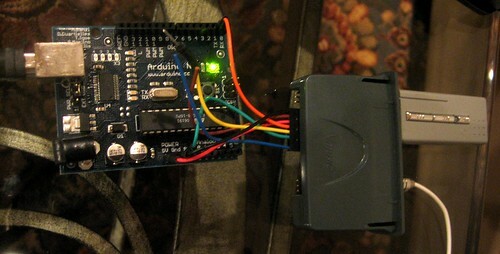 Note that there is only one serial port on the Arduino, which is shared between the serial pins and the USB connector. So when you program the Arduino, disconnect the VMUSIC2 RX connection so the programming effort doesn't confuse it, then when the programming is done, hook the VMUSIC2 RX back up to the Arduino TX pin. Also note that Serial.println("V3A") doesn't quite work, I think it must send carriage return and linefeed, and the linefeed confuses the VMUSIC2. Finally, while the VMUSIC2 doesn't draw too much power, I noticed that if I plugged it into the Arduino +5V while the Arduino was running that it reset the Arduino. So you may need to add an external +5V regulator for the VMUSIC2 to make sure it runs dependably. I've officially "unleashed" the Phy2Phy Project Wiki to nurture the creation of networked artworks that link one physical world with another physical world over the Internet. And Gareth Branwyn was cool enough to post it to the Make blog, yey! The site Phy2Phy is on, Wikidot.com is very cool! I've been messing around with my own TikiWiki for a while, but it was too hard to configure all the bells and whistles. Wikidot.com is much easier to set up, and combines a Wiki with the ability to have a forum as well. I recently purchased some Parallax PIR Motion Sensors. These are some of the smallest integrated PIR sensor units you can find, plus they are pretty cheap. They actually are a bit larger than I had thought before I purchased them, but still they are really small compared to the units you typically find for security purposes. I didn't know what to expect with regards to performance, but I tested them and they were capable of detecting motion out to at least 15 feet away. They take 3.3V to 5V supply voltage and have 3.3V output logic. Their small size makes them useful for applications where you might want to put them at the end of a tube to create motion detectors with a very thin field of view. Mouser now has 2mm boardmount and wire-wrap header sockets. So does DigiKey...even 12 pin x single row. These would be useful for mounting the Lantronix Xport Direct. Update: Mouser has 2mm protoboard (from "SchmartBoard") 2x2 inches which is just big enough for the Lantronix Xport Direct. For some reason, the cheapest Vectorboards are $13 in 2mm grid, and larger 2mm grid ones are very expensive (over $20). 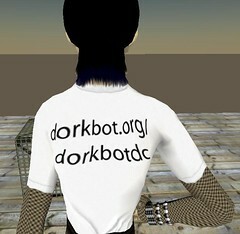 The next Dorkbot DC meeting will be a highly informal workshop/make session. Several folks will be assembling BEAM robots, other will be working on other projects. This is also a good opportunity to informally show off projects you are working on, and to ask questions of other Dorkbotters. Dorkbot DC Meeting Wednesday Night!! Mediation in the current art discourse is the process in which the different disciplines are employed in questioning, challenging and experimenting with new models and forms that propose social and political change. This presentation describes artistic strategies and methodologies developed over the past five years in conjunction with the US Department of Art & Technology (US DAT), a virtual government agency created as a critique of the role of the artist in society and politics. The US DAT functions as a conduit between the arts and the broader political and economic culture for facilitating the artist's need to extend aesthetic inquiry into the social sphere where ideas become real action. Packer is internationally recognized as a pioneering artist, composer, educator, and scholar in the field of multimedia. His work has been exhibited at museums and galleries throughout the world including Europe, Asia, and North America. He is Assistant Professor of Multimedia at American University in Washington, DC. His book and accompanying Web site, Multimedia: From Wagner to Virtual Reality , has been adopted internationally as one of the leading educational texts in the field. He is concerned with the aesthetic, philosophical, and socio-cultural impact of new media in an increasingly technological society. Gareth Branwyn will give a talk and presentation on BEAM, a branch of robotics inspired by biology which eschews computer control whenever possible and focuses on simplicity, autonomy, and real-world survivability. While much of BEAM has remained in the realm of proof-of-concept and miniature hobby robotics, the utility and commercial potential of the approach are being proven by the success of the Robosapien line of home/toy robotics, created by BEAM inventor Mark Tilden. Gareth will give a short presentation on the origins of BEAM, the main precepts behind it, and some of the simple control architectures used. He will also show off some of the BEAM robots he's built, including the two that graced the cover of MAKE Vol. 6. Branwyn writes about technology and tech culture. For 12 years, he was a contributing editor to Wired, co-creating and writing the Jargon Watch column. Through that work, he was asked to be the consultant on computer and Internet terms for the Oxford American Dictionary. Gareth is currently a contributing writer and on the Advisory Board for O'Reilly's MAKE magazine, and he also writes for MAKE's sister publication, CRAFT. Gareth is also the author of numerous books, including the first book about the World Wide Web (Mosaic Quick Tour: Accessing and Navigating the World Wide Web) and The Happy Mutant Handbook. One of his most recent works is the Absolute Beginner's Guide to Building Robots. He prides himself on the fact that this book has garnered him fanmail from everybody from 13-year old kids building science faire projects to university cybernetics professors using it to teach robotics and AI. Gareth Branwyn is also "Cyborg-in-Chief" of the popular personal tech blog Street Tech (streettech.com). I am definitely not a fan of assembly language programming. When I'm creating interactive art, I want to create art, not have to search through 100 pages of PDF documentation to figure out how to properly configure a register for reading. I don't mind getting paid to solve insanely difficult technical problems, while I like the challenge of hardware tech art, I prefer to actually get it done. The BASIC Stamps from Parallax are expensive for what you get, which often does not include an analog input. The BASIC interactively programmed RVHE has been discontinued. I'm using one for Sycophant 2, and I have one more. For a board with Ethernet it was a good deal, but I found that it didn't really play well when you tried to send IP packets off of the local subnet. 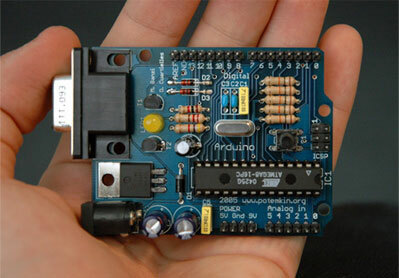 Recently I have become very interested in the Arduino, available from SparkFun for $31.95. You get 13 digi I/Os, 6 analog ins, it connects to your PC for programming over a USB port, plus it also has an extra serial port on the board (in case you want to add an Xport for IP connectivity). The Arduino is programmed in a C-like high level language. Not only is the development environment free and open source, the board design is open source as well. There is an excellent set of learning materials about the Ardunio from Tod E. Kurt's blog. 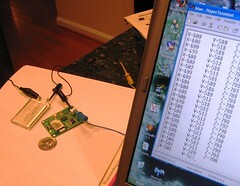 A cheaper system is the LogoChip, a PIC 18F2320 programmed with an interpreter for a language based on Logo. It has 12 digi I/O pins and 5 analog input pins, and a UART you can use for a serial connection. You can buy the PIC chip for ~$5 from Newark, then if you have a PIC programmer you can download the free Logo interpreter to the chip. In a free development environment, you write the Logo code and send its tokens to the LogoChip to run. It appears that there is an interactive execution mode as well. Although the LogoChip language is a bit closer to the physical chip hardware, the abstraction is enough to make most programming easy. My other recent discovery is Processing, "an open source programming language and environment for people who want to program images, animation, and sound." It seems like an interesting counterpoint to Pure Data. Technology: Art and Sound by Design consists of lectures and labs, with a focus on artistic philosophy and its application through technology. 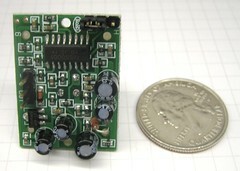 In the course, students build circuits and interface them to computers, considering how these might contribute to their own artistic creations. Engineering students are expected to help Fine Arts students with the technical material covered. Fine Arts students are expected to spark a conversation about how the technical material might be used creatively within their discipline.